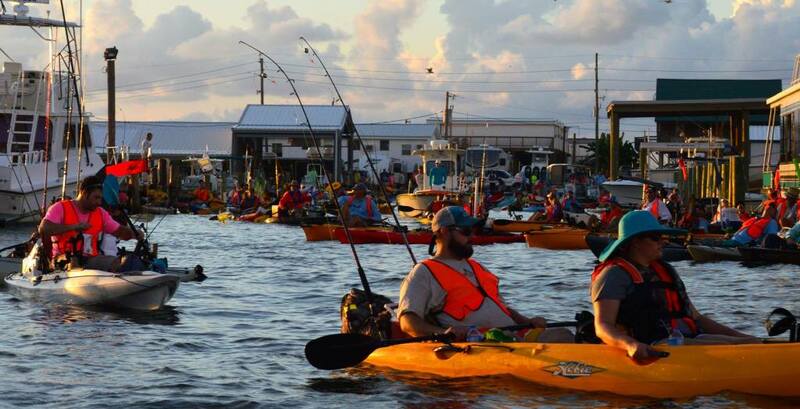 The Ride the Bull tournament held in Louisiana has quickly earned the title of “world’s largest kayak fishing tournament” due to its incredible rise in tournament participants. 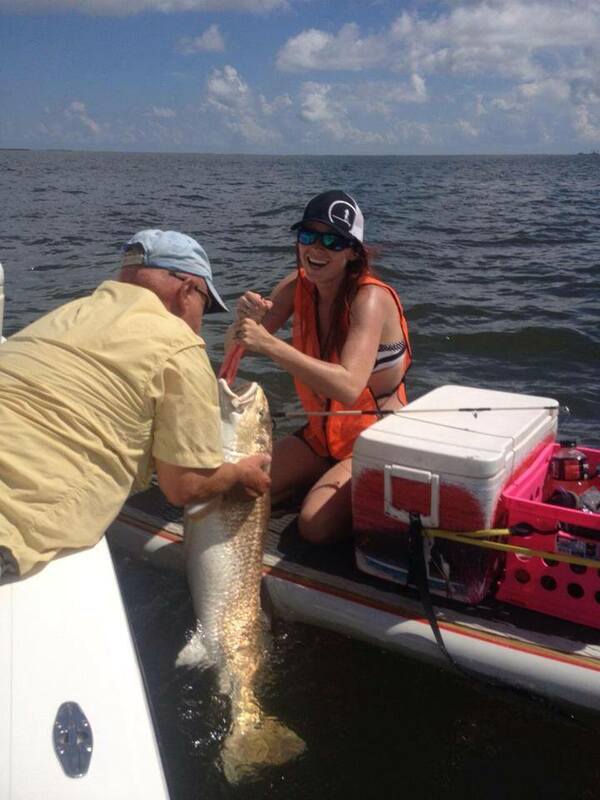 Anglers from all over the country attend for a chance to land a massive bull redfish. All anglers launch from the same marina, and fish Caminada Pass searching for the largest redfish. 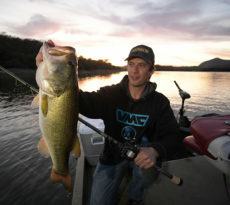 Dustin Schouest fished Ride the Bull and shared his experience with us. In the kayak fishing world of Louisiana, there are three main tournaments. The first of the year is held every year in Leeville, about an hour south of New Orleans, or as we say down here, “Nawlins”. Paddlepalooza celebrated its 11th year this April, marking one of the longest running tournaments for kayakers in the Sportsman’s Paradise. The last one of the year takes place down in Buras, what locals often refer to as “The End of the World”. Fall N Tide has been known for large catches, good times, and lots of stories that the veteran yak anglers spread to the young’uns. In between them is the most talked about kayak fishing tournament around, Ride the Bull. Held in the fishing Mecca of Grand Isle, it’s legacy may soon yet rival that of the Grand Isle Tarpon Rodeo. This tournament has grown by leaps and bounds, starting from around 50 anglers and reaching heights unbelievable by the average angler. 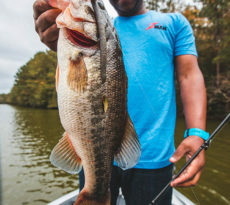 Last year, it took the title as the World’s Largest Kayak Fishing Tournament, and this year, it sought to solidify that name. It is simply known as Ride the Bull. No, this has nothing to do with burly, horned steaks throwing cowboys onto dirt. This has to do with the Ahab-esque obsession many anglers have of hunting down and catching the bull redfish. Bull reds, as we refer to redfish over the 27” mark here in Cajun Land, are as valuable as gold. Ready to eat anything in front of them (even a bare hook!) and always giving his victim the fight of their lives, these behemoths move en mass towards the barrier islands and passes due south of our tidal marshes and bayous. Caminada Pass is where the Ride the Bull tournament is held every year. Famous for big bulls and ferocious current, the legendary gap between Grand Isle and what was once known as Grand Chenire has a long history, along with the island. Most who have studied the history of our beautiful state may know Grand Isle well. In the days of pirates and privateers, Jean Laffite used the island as his base of operations. The hero of the Battle of New Orleans was rumored to also bury his treasure on the sandy shores. On average, the island is directly hit by hurricanes every seven and a half years. One of the more notable hurricanes was the Chenier-Caminada Hurricane of 1893, a storm that would wipe the settlements of Chenier, Fifi Island, and Caminada off the face of the earth. More recently, Hurricane Katrina began her unholy destruction in Grand Isle, where her eye made landfall. The areas of the island were made for fisherman. To the north side of the island lies an artificial reef, starting half way down the island. Catches of speckled trout, redfish, and sheepshead abound there. With a very large increase in the popularity of kayak fishing, a new launch was recently made towards the end of the island, down Ludwig Lane. Facing south of the island is the mighty, beautiful, and fear-inspiring Gulf of Mexico. Specks, pompano, and sharks abound along the coast. Further offshore, as seen from the surf, are dozens of oil and gas platforms, hotspots for snapper fishing. The Ride the Bull tournament first started out as a small gathering led by Danny Wray of Calmwater Charters. The premise was simple: sink some crab or mullet out in Caminada Pass and wait for a meandering bull red to take you for the ride of a life time. The tournament, combined with the epic fishing opportunities, earned Grand Isle the prestigious title of YakAngler’s “Location of the Year” in 2012. My first experience with the Ride the Bull tournament was in 2012, the third year of the tournament. I had just gotten into the sport of kayak fishing, and I had heard about Ride the Bull through our local forum, the Bayou Coast Kayak Fishing Club. I wasn’t expecting the 200 plus anglers gathering around the pavilion at Bridgeside Marina. Danny Wray, the charismatic, long-haired director of the tounrnament, came on stage and set the motto for the tournament: “Next year, bring a friend!” I could tell from his enthusiasm and passion for what he was doing, that this would be one of the best fishing tournaments in Louisiana. The next day, Caminada Pass was filled with plenty of floating plastic boats, with folks fishing next to each other and joking around. I fished predominately with my future fishing buddy Thomas Sparks. Sadly, neither of us were able to “ride the bull”, but, it set the tone for the future tournaments. This year, all of us here in Louisiana knew it would be bigger than ever. Estimates ranged from 600 all the way to 800. Rob Begeron, an avid fly angler there for his second Ride the Bull kayak tournament, told me after the event “The growth in the few years it’s been around is absolutely amazing. 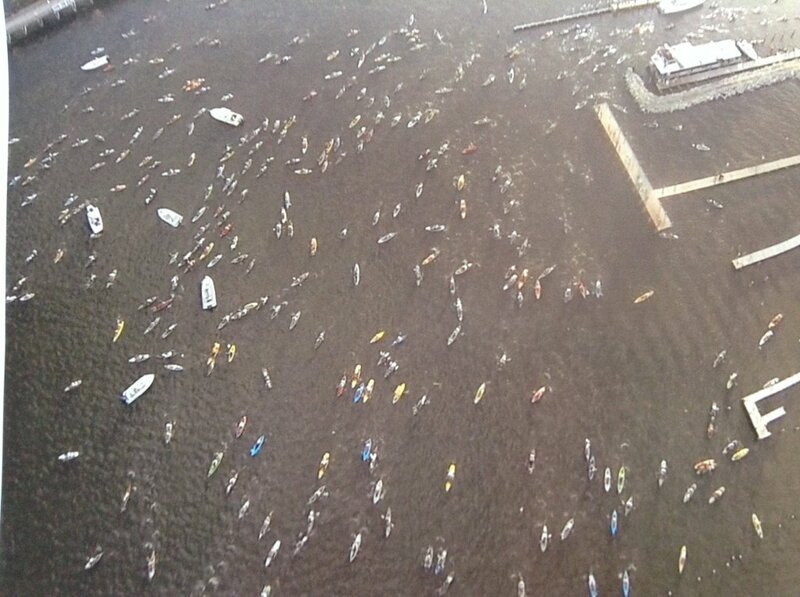 The fact that they are aiming at 1000 kayaks next year is incredible”. 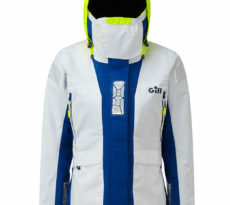 For the weeks leading up to the event Facebook lit up with updates and prizes; Wilderness Systems kayaks, GoPros, all sorts of trinkets and items every kayak angler would ever want. Every year the tournament kicks off with a Friday night captain’s meeting, followed by the annual Calmwater Film Festival; ten films celebrating kayak fishing in its entirety. This year, all participants were asked to pick films in catagories including “Best Storyline” and “Funniest Film”. The tournament directors of Ride the Bull, Danny and Kristen Wray, have their work cut out for them next year, with the expectation of over a thousand anglers coming to Grand Isle. Rob told me his only worry about the growth: “The fact that they are aiming at 1000 kayaks next year is incredible. I do think the boundaries should be extended a little farther to the east to accommodate the number of kayaks. If we get too cramped in the pass the chase boats won’t be able to pick up the fish.” But, knowing the passion the Wray’s have for this sport and tournament, they will make any and all accommodations to help grow the Ride the Bull tournament beyond the two world records it has already set. We want to thank Dustin for sharing Ride the Bull with Yak Outlaws. 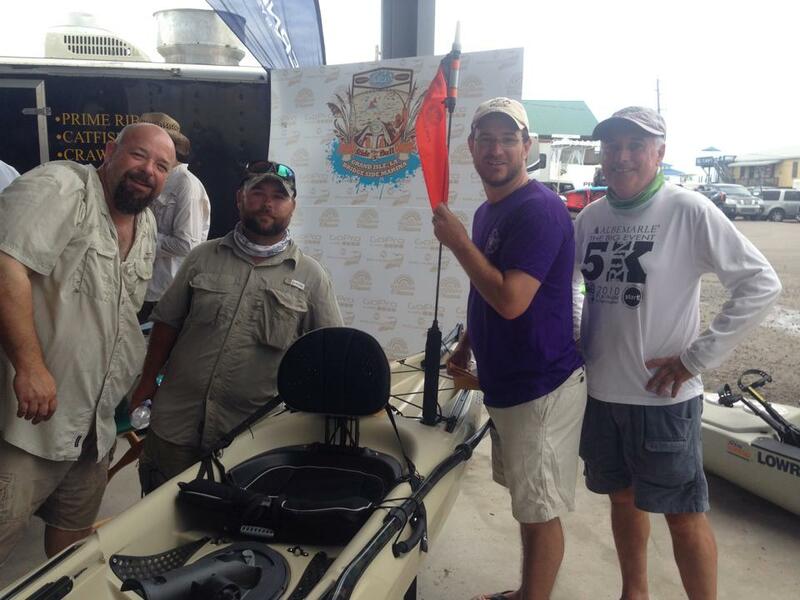 This tournament has definitely grown into the premiere kayak fishing tournament. We’re excited about testing our skills at Ride the Bull next year! If you have a tournament story like, Ride the Bull, that you’d like to share, then send it to us.